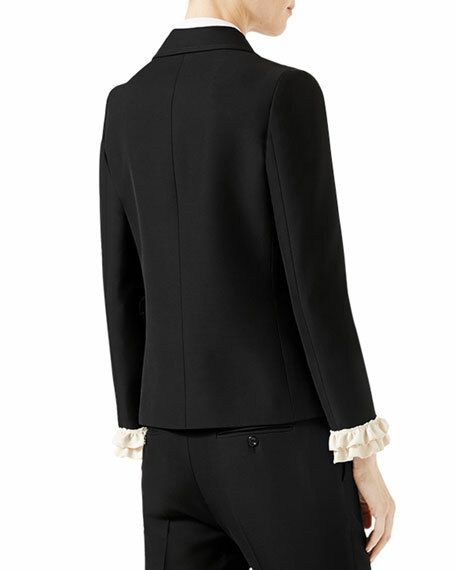 Silk wool jacket with contrast ruffled detail and topstitch detail along the edges. The GG pearly buttons are infused until the perfect color is reached, each is decorated with a metal GG made of brass with a vintage gold finish and fixed through a pin. 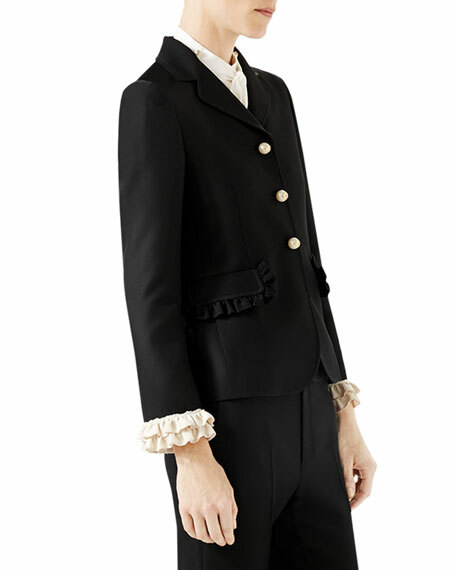 Blue cady crepe silk wool with off-white silk wool ruffled cuff details. 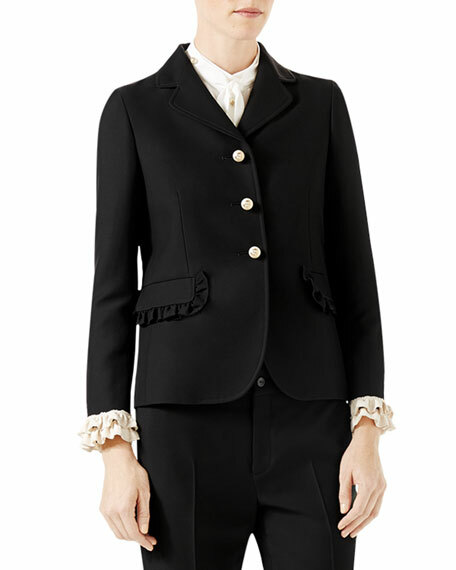 Front pockets with ruffle detail. For in-store inquiries, use sku #1965820.